These are lovely and a wonderful gift idea for your favourite tea drinker. I will have to make one for my husband who insists that the tea in restaurants is never strong enough and always totes his own. These are lovely, I especially like the one with the pretty tea cup photo. These are so pretty, Terri! Wonderful to have in your purse, and a nice little gift idea. 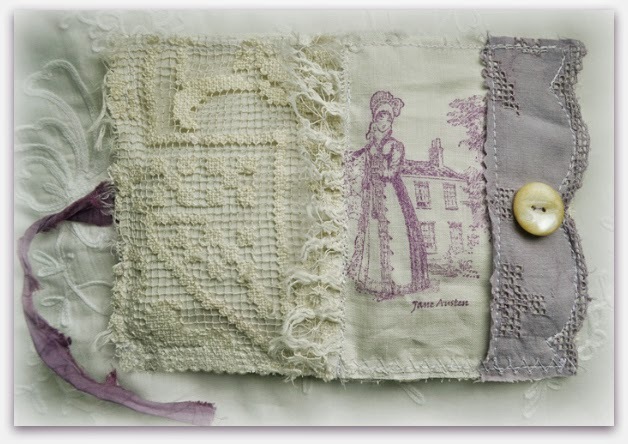 This idea is new to me and yours are very charming; the Jane Austen theme especially. Very nice job on the tea wallets. If I had the time I'd try my hand at making a few but, for a while at least, they will have to wait. What lovely pockets. 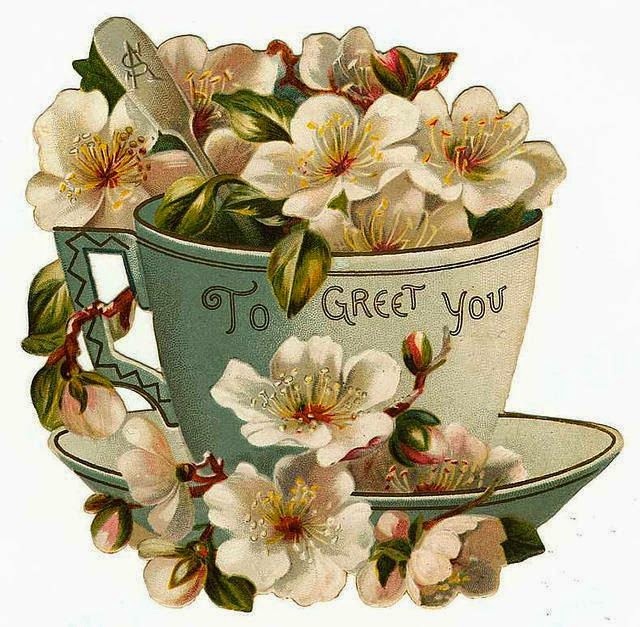 I specially love the one with the teacup and flowers really charming! These are so lovely Terri! A very sweet idea for Mothers' Day gifts. Wow a tea wallet? What's next? that's very creative though and very useful too. I like the old linen one. But doily seems fancy. I wish I could sew. Thank you for sharing this nifty idea Terri. Hope you are having a good weekend. What a great idea! They're lovely Terri! your tea wallets are so beautiful, love them both. They are wonderfully romantic both, and the materials you used lovely old! The piece you coloured yourself is the most gorgeous colour. 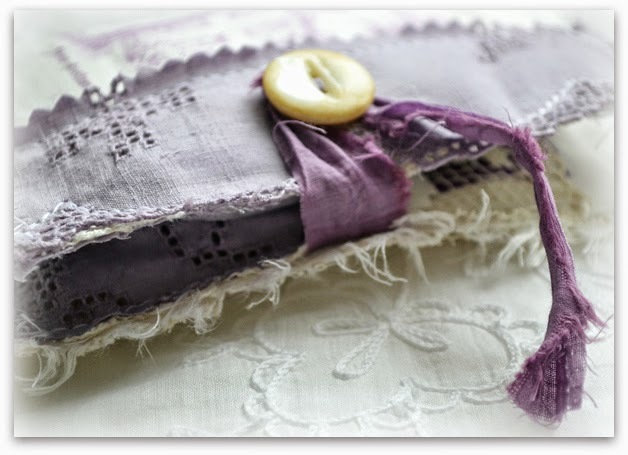 I think I will have a look at Pinterest to see more beautyful wallets ,and maybe try my hand on one myself!! It is such a good idea for someone like us ,whom brings with us our favorite teas!! what a fantastic idea! I love the ones you made. this is a great idea for using vintage doilies, perhaps cutting out the stained parts, and using up bits of lace and buttons. what great gifts they would make. Love how yours turned out! 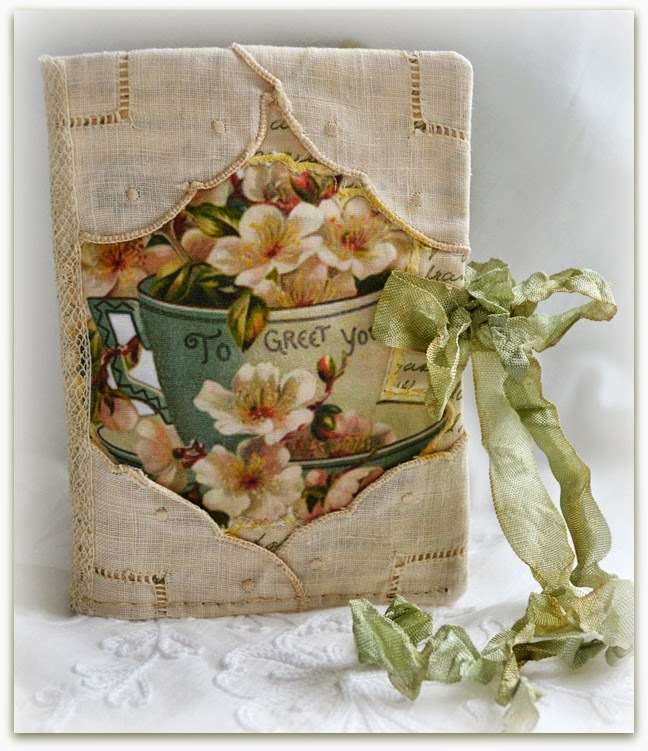 I am a coffee drinker but must find a reason I need one of these because it is so pretty with the vintage fabrics. Thank you for sharing! I had no idea of such a thing! How could this escape me!! what a charming beautiful and quaint and practical thing! I adore the ones you made especially the lavender one with two layers! I love this, reminds me needlebooks which I just discovered 2 years ago too. What a lovely post. These are so wonderful!! 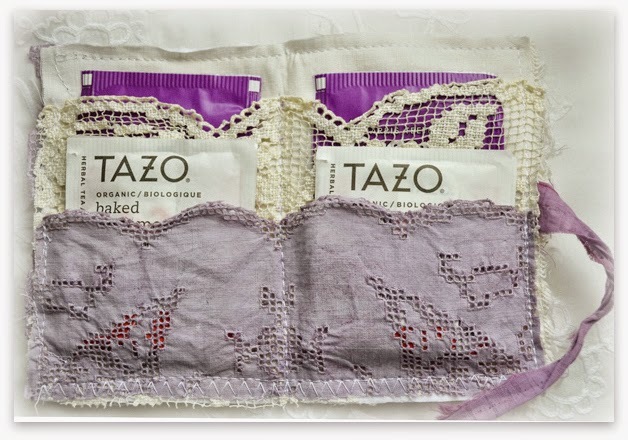 Never heard of a tea wallet, but it makes so much sense for toting around our favorite teabags, which I do all the time. I love the idea of using wonderful little scraps to make them, too--something so cute and doesn't take a lot of materials. Gotta try it! So pretty Terri... I approve of your latest crush!!! 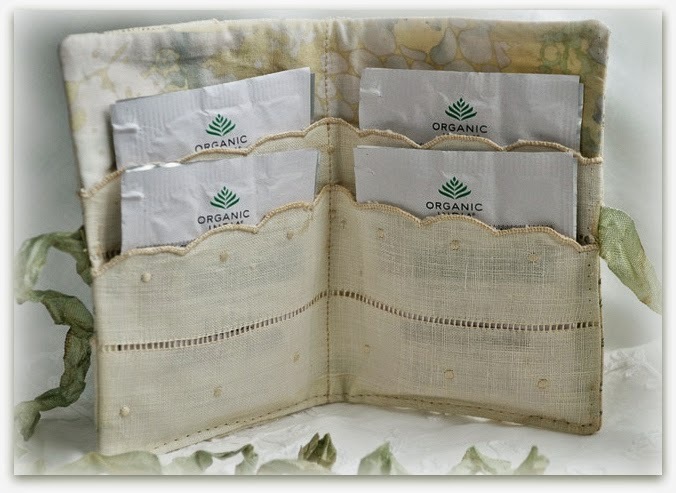 really beautiful tea wallets Terri- you did a marvelous job making your own beauties! Beautiful, wonderful,whimsical AND useful!!! I could never decide my favorite! Thanks for sharing. 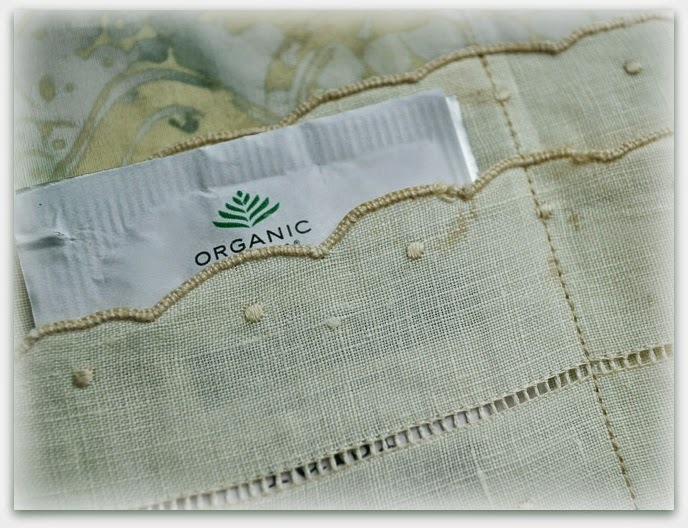 Since I have loads of vintage linens available I should be able to find things to make a few. Choosing will be the hard part I imagine. These are really beautiful and incredible Terri, i adore them!They are so unique and that lavender color is so wonderful , so dreamy! You are so so talented! Your tea wallets are absolutely gorgeous! I love them all. =) You are so talented. I love the tea wallets, I've never seen one! Soo pretty! Very pretty! These have given me some inspirations for a Mother's day gift and some birthdays that are coming up. Love the Jane Austen one. 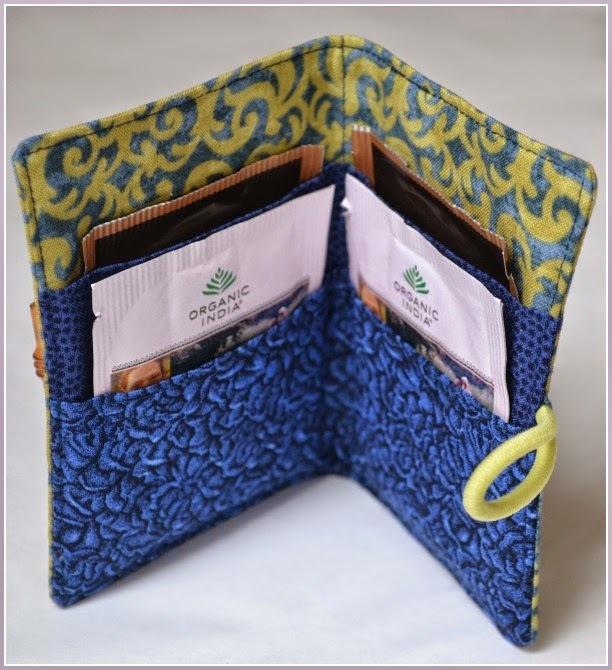 Your tea wallets are "sew" perfect, Terri. I must ry making some myself. I love the vintage look of yours and the pretty graphic that you used. I love this idea! 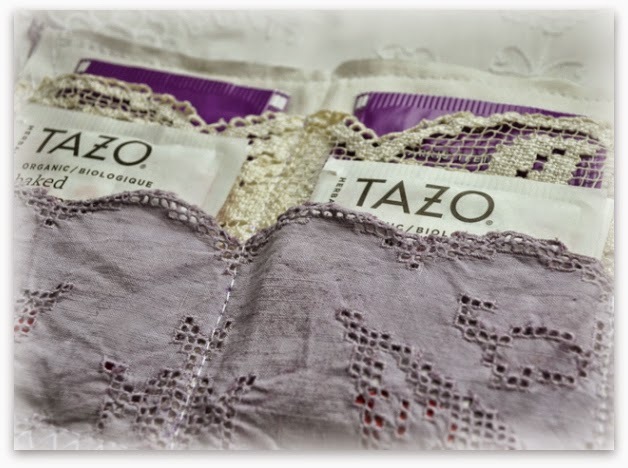 Thanks for sharing. .
Oh my gosh--I'm absolutely in love with these tea wallets! What a lovely idea--thank you for sharing. I know what I will be doing next weekend!!! 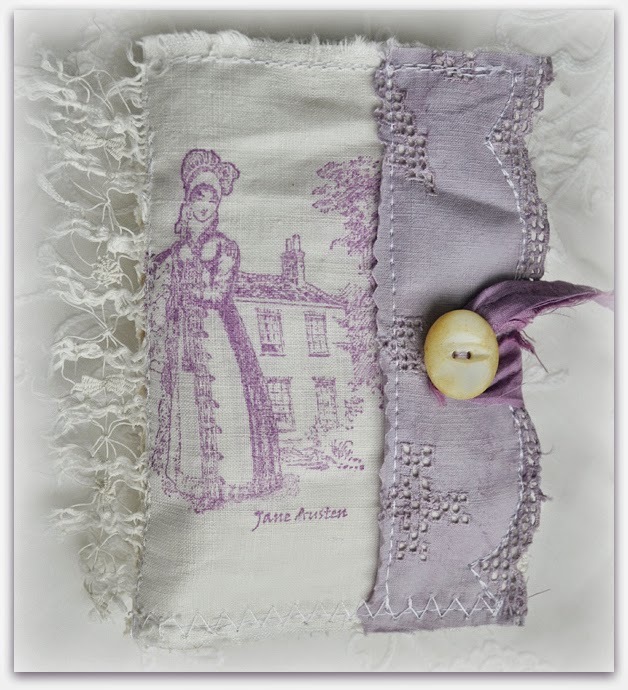 I adore your Jane Austen design.......and the color is perfection.